Annie (Peyton Ella) has plenty of pluck, which comes in handy during the Depression, but not nearly enough luck. 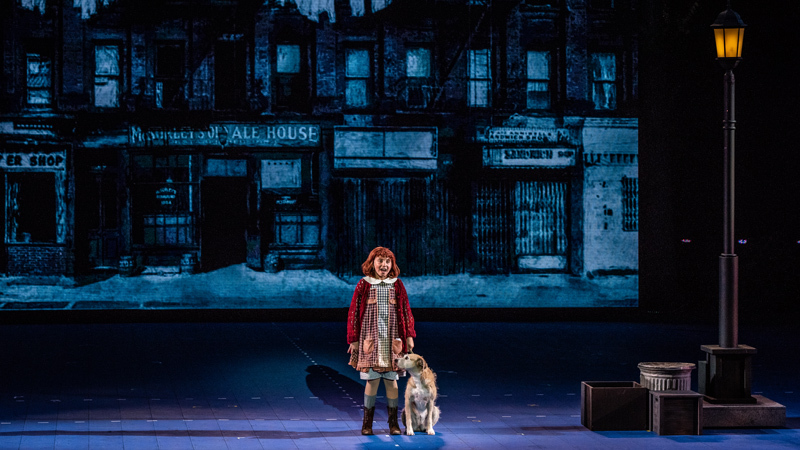 Stuck in an orphanage overseen by the abrasive and alcoholic Miss Hannigan (Jennifer Simard), the 11-year-old can only dream of being reunited with her long-lost parents. In the meantime, she relishes her role as Hannigan’s chief antagonist — although a case could be made that Annie’s best friend, Molly (Ana McAlister in a delightful turn), is closing in on the title. Things change for Annie when the orphanage gets a visitor: Grace Farrell (Britney Coleman), who works for billionaire businessman Oliver Warbucks (Christopher Sieber) and is looking for an orphan to spend Christmas with her boss. Annie, who makes no secret of her interest, finds herself whisked from the orphanage to the Warbucks mansion. As it turns out, Warbucks was expecting the orphan to be a boy. But from his first meeting with Annie, it’s clear which of them is in control. 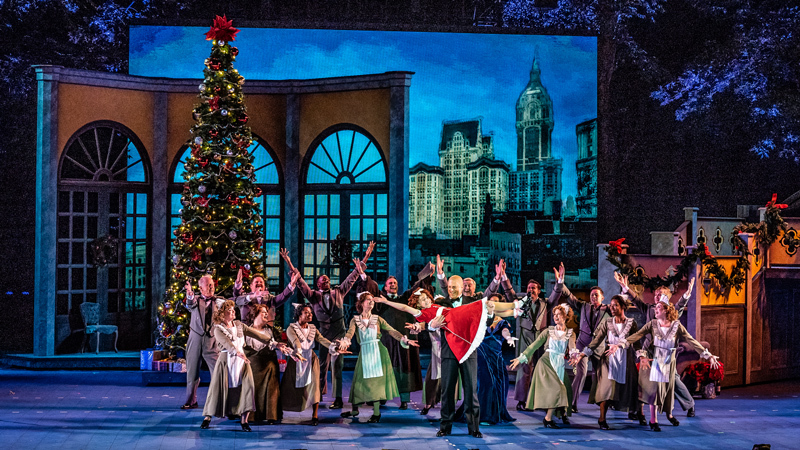 This is the kind of show for which a strong cast and solid production values are essential, mostly because — with the exceptions of “Tomorrow” and “Hard Knock Life” — the songs by composer Charles Strouse and lyricist Martin Charnin are little more than serviceable. It doesn’t help that the book by Thomas Meehan plays more like a series of vignettes than a cohesive story. Fortunately, this “Annie” is a gem. Peyton and Sieber embody their iconic characters with seeming effortlessness, Simard is the essence of comic malevolence, and Coleman exudes warmth and charm. And the four-legged Sunny just about steals the show as Annie’s dog, Sandy. Director John Tartaglia, a regular on the Muny stage, keeps things moving with efficiency and elegance, making the most of Michael Schweikardt’s economical but imaginative sets. And Jessica Hartman’s choreography has the kind of showbiz zing that we’ve come to expect in musicals.